There are 4 reviews of Olympéa. Pretty identikit designer white floral that ticks a lot of boxes – overall powder-puff softness, a touch of pulpy fruitiness, vague, airbrushed ‘floral’ notes, some aquatic cool blue in an air-freshener stylee with ethyl maltol cotton candiness soaking through. The purpose of this kind of thing seems to be about providing the olfactory equivalent of empty calories for perpetual dieters. The usp is allegedly a salted vanilla accord – and yes, one briefly registers some such thing, a kind of dry deflection on a vanilla sugar note – but it soon gets subsumed by the sweet fog such contourless creations end up as, which feels paradoxically both anaemic and full-on. Stuff like this sells by the truckload, which leads me to the rather depressing conclusion that I am rather out of joint with the times because I find it utterly grim, representing a vision of femininity that is pink fluff, tacky bling, nail extensions and goopy lip gloss: affectation as a mode of life. I see that there are two Aqua, one Intense and an Extrait de Parfum versions of this horror and a dupe shop in my neighbourhood prominently advertises a cheaper clone. There truly is no hope for humankind. The first time I smelled it was on someone I didn't know and I could smell a gorgeous vanilla (I'm a vanilla fan) so I asked what it was. I bought it without testing it on myself. When I tried it, it was very different from what I had smelled. It starts with something spicy, bergamot and citrus. Then it goes towards a salty vanilla. Still acid, not too sweet. Red fruit and flowers of the white type. I get more grapefruit, I'm not sure why... and then powdery notes. I don't regret buying the full bottle. Sillage and longevity are good! I'm really liking this, even though it's not at all what I was expecting. I didn't like the opening. It was too much everything -- It felt like it was trying to hit all the major scent groups with nothing being identifiable . . .
Than it settled down and a perfect creamy freesia scent hit me, accented with a powdery sugar scent and a bit of berry in the background. The sandalwood and vanilla creeped in slowly and gave it a nice creamy woodiness without smothering the sweet floral. This could potentially be a favorite. 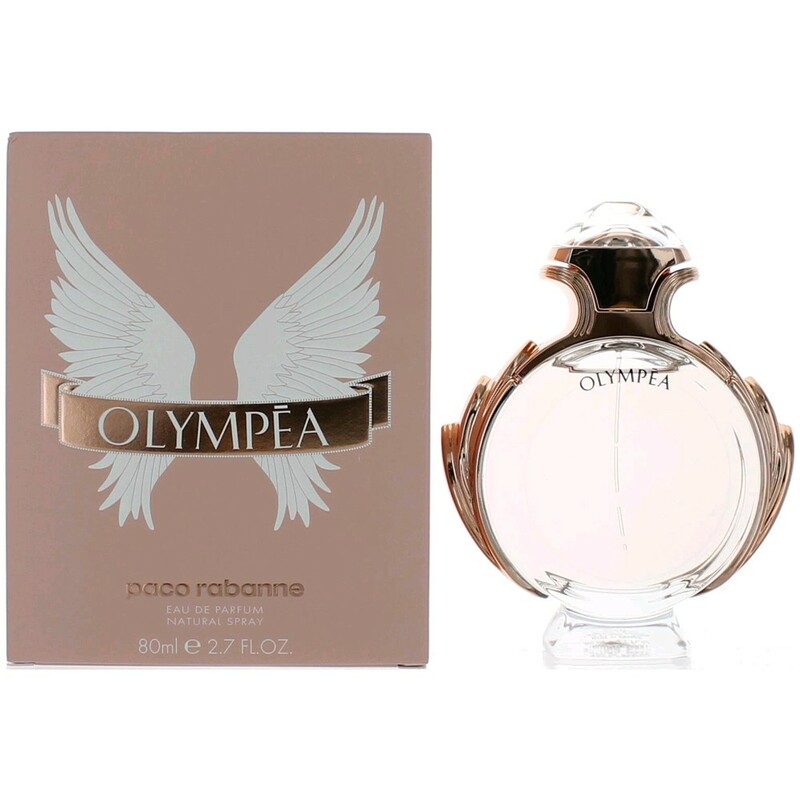 OLYMPEA is a witty and chic fragrance with a fresh, appetizing and mischievous trail.it is a perfect blend of flowers and aquatic that gives you a lift, just that little added boost of confidence.it is not the best female by PACO RABANNE but it is always nice to have a little variety in your perfumes.It has a delicacy and an edge.Magnetic,Cute,Dynamic,Subtle, Charming,Feminine,Sweet,Delectable,Enchanting,Fresh and Warm at the same time. A oriental floral harmony,opening with lovely fresh notes of mandarin and ginger combined with salt, vanilla and dominant jasmine that followed by a deeper base of sandalwood and amber to make a scent that speaks of an undeniable Femininity.this something really nice to be wearing when you go out in the evening,but it can also be something nice for day time as well because it is subtle enough. 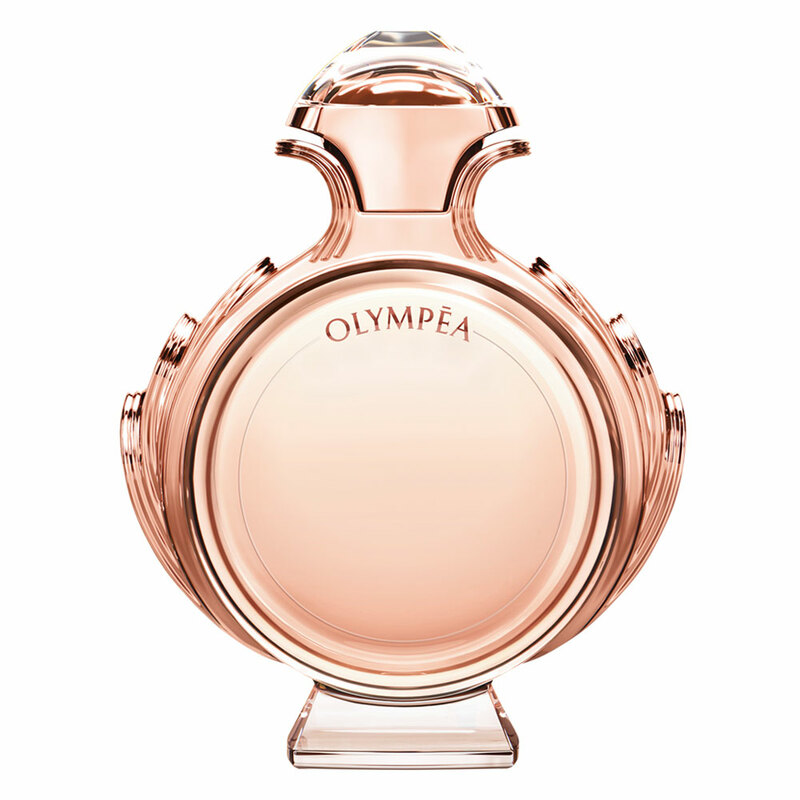 OLYMPEA is a great choice for Spring and even Autumn.suitable for a modern lady who likes sweetness and pleasures. There are no member images of Olympéa yet. Why not be the first? 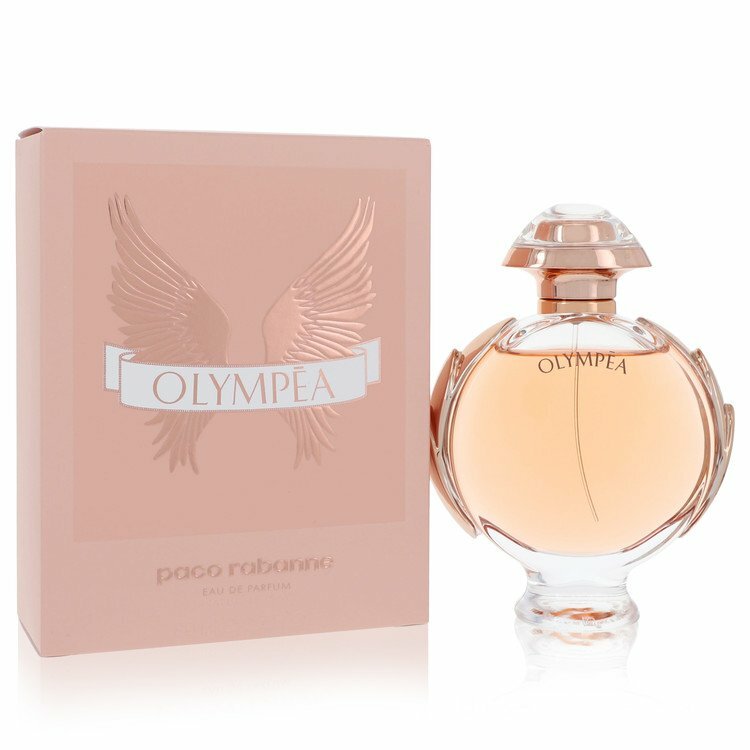 NEW: Paco Rabanne - Olympéa Acqua Eau de Parfum Légère For Women!